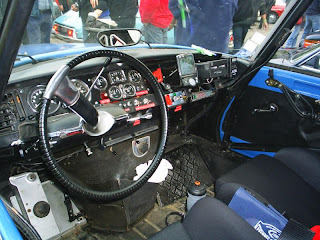 Citroen always played and still plays a major role in rallysport. 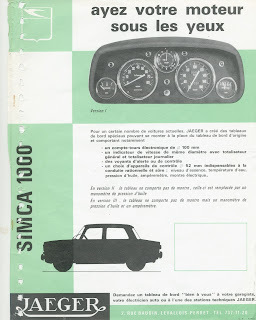 On the internet you can find a nice site that is dedicated to the Citroen DS and ID in rally's. 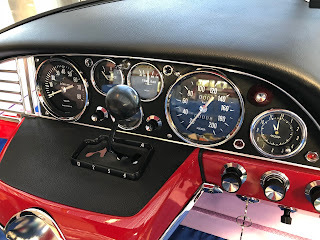 There are only a few pictures of the special dashes used in this cars. 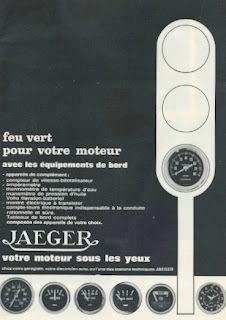 This picture is from a Citroen ID, where the Jaegertableau for the ID is used together with the special instruments.